Paul Skinner; Stephen Paisley, Brian Shortall, Sean Byrne, Ian Ryan, Glen Cronin, Brendan McGill (Anto Murphy 70), Paddy Kavanagh, Stephen Hurley (Kevin Dawson HT), David Cassidy, Philip Hughes (Philip Gorman 91). Brendan Clarke, Ger O’Brien, Conor Kenna, Kenny Browne, Ian Bermingham, James Chambers, John Russell, Greg Bolger, Sean O’Connor (Jake Kelly 62), Chris Forrester, Christy Fagan. 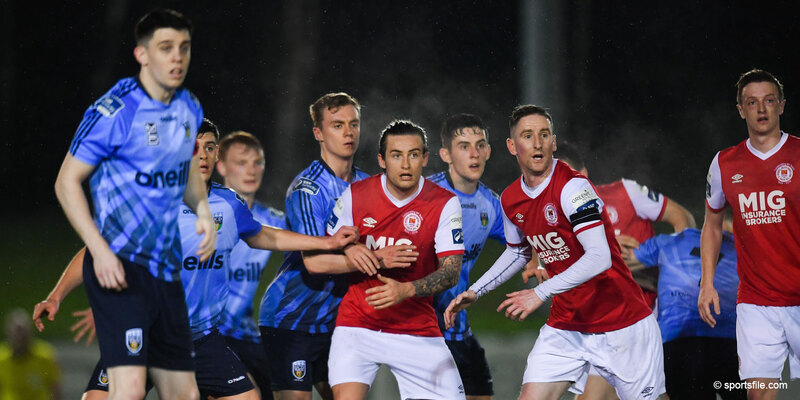 Shelbourne and St Patrick's Athletic shared the points in an exciting 1-1 Dublin derby at Tolka Park on Friday night. Brendan McGill's strike created Shelbourne's goal, his 20-yard volley hit the crossbar, then bounced off the back of keeper Brendan Clarke and into the back of the net. St Pat's deservedly equalised before half-time as Christy Fagan poked the ball past Paul Skinner. Shelbourne finished the game with ten men as Glen Cronin was red carded for a tackle on John Russell. Paddy Kavanagh had the first chance for the home side when he latched onto McGill's blocked effort, but he couldn't keep his effort on target. Down the other end, Kenny Browne rose high from O'Connor's corner but couldn't keep his header down. St Pat's should have taken the lead after 20 minutes. James Chambers surged forward from midfield and set up Fagan, but his shot rolled across the box and wide. Two minutes later and Shelbourne took the lead against the run of play. A corner on the left found its way to McGill on the edge of the box and the midfielder fired a superb volley that hit the crossbar, came back off St Pat's keeper Clarke and into the net. Fagan almost played Russell in shortly afterwards, but Skinner was out of his goal very quickly to smother the ball. Fagan was again involved when he flicked to Bolger, but his strike went just wide of the goal. The deserved equalising goal came just two minutes before half-time. Ian Bermingham played the long ball from the back that saw Chris Forrester get the flick to Fagan. Fagan kept his cool and poked the ball past Skinner for the leveller. The second half started in the same vein as the first with both sides having half chances. Fagan fired over for St Pat's before Philly Hughes fired wide from long distance for Shels. Shelbourne were reduced to ten men twenty minutes into the second half. 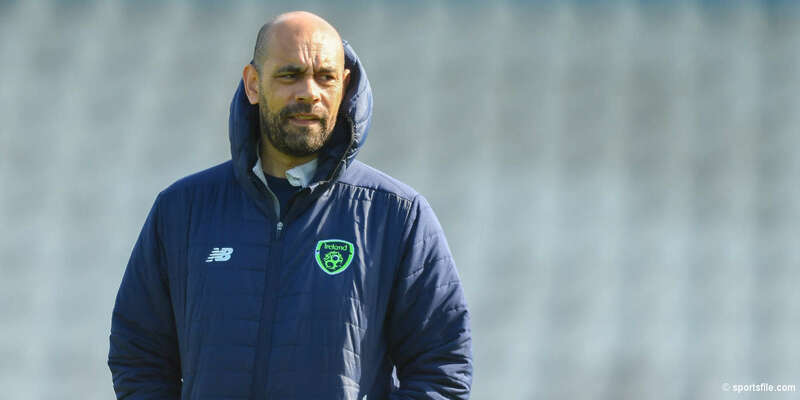 Russell allowed the ball to come across his body and Glen Cronin's poor challenge was judged to be over-zealous and he was given a straight red card from referee Alan Kelly. St Pat's should have taken the lead with 13 minutes remaining. Jake Kelly found the impressive Forrester on the right, but his near post shot went wide of the near post. Anto Murpy linked up with Hughes to set up Kavanagh. but he fired high above the St Pat's goal. 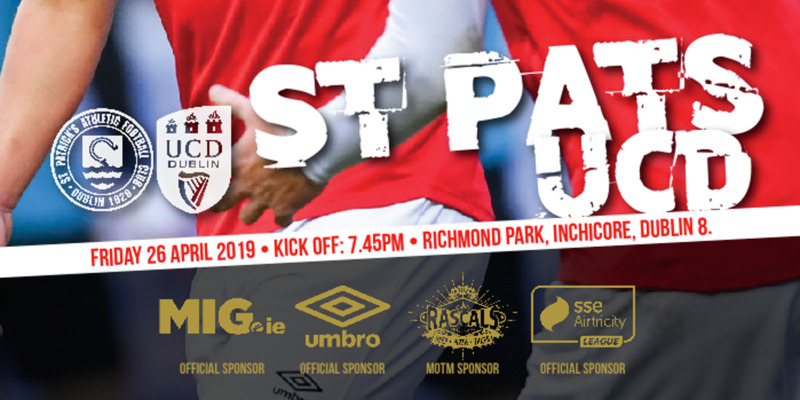 St Pat's could have won the game with one minute to go as Ian Bermingham swung in the left-wing cross, but Greg Bolger's header went inches over the crossbar.